d-torso/Aki Co.,Ltd. is doing our overseas business from 2002.Beginning with EUROSHOP2005 which was held in (Germany) Dusseldorf in 2005,we have participated EUROSHOP2008, Maison&Objet(France) and some other international exhibitions. 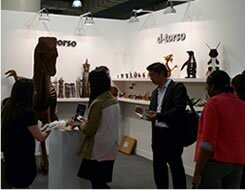 ICFF (New York International Contemporary Furniture Fair) and NYIGF (New York International Gift Fair / current NY NOW Exhibition) which is held in the Javits Center in New York as our main work to develop our overseas selling market recent years. 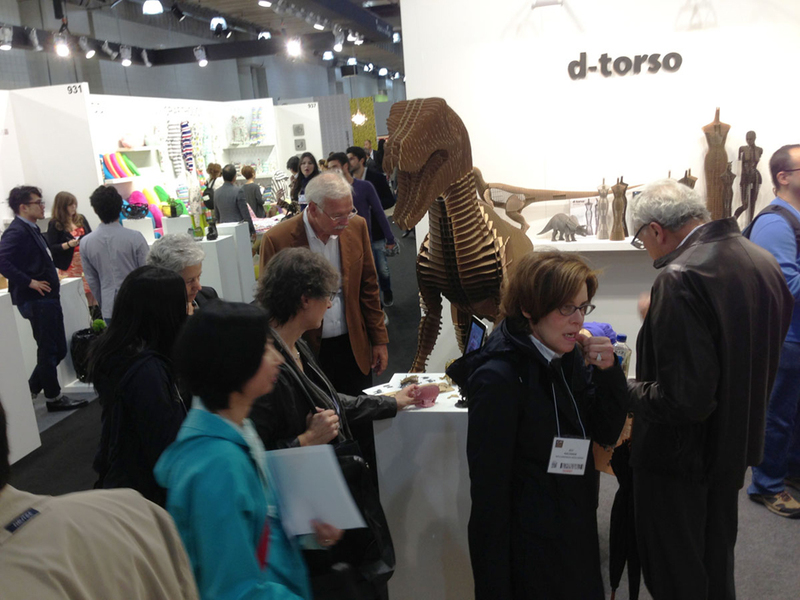 For the dealing in the area of the North America(US, Canada), MIRA design has became an official distributor of d-torso. It is available to order and ask for information about our products at MIRA design, and they deliver the products to all over the America from its warehouse in California. We do our best to stock the same products with Japan as much as possible, and we aim to the fast and the best service all the time. 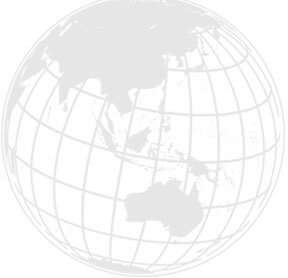 For the dealing with other countries, you can contact with Aki Co.,Ltd. directly and you can receive your order after we adjusting our dedicated ordering system. The products will be shipped by the flight such as EMS or Fedex to Europe, the Middle East and Asia. d-torso is made in an old primary school which has already became a closed school in the mountains of peninsula Kunisaki. We are so glad that d-torso can send our products to people all over the world across the ocean, and can make them feel happy. It’s the greatest joy for us. Friendship can born from only one product. It tied people together, and the friendship can be spread rapidly. We had a lot of such kind of experiences in these 12 years. In order to deepen and widen this cherish friendship, we will continue to manufacturing here, among this “Kunisaki Time”in the future. 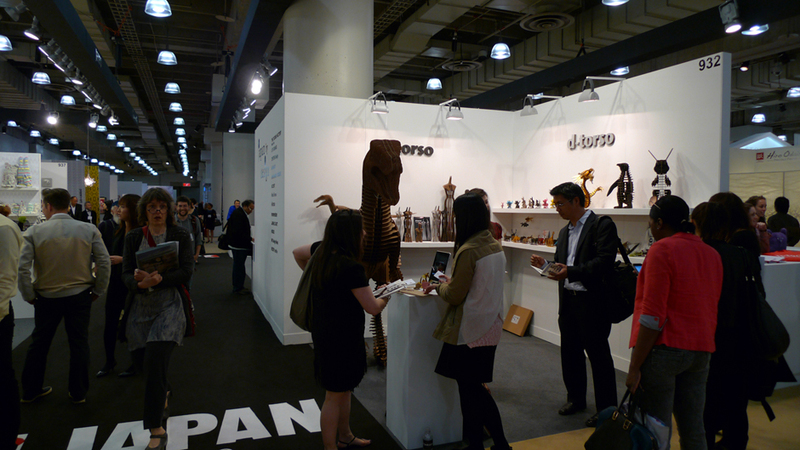 ICFF(New York International Contemporary Furniture Fair) is an international exhibition for Stdio aki/d-troso continued participating in for 3 years from 2011. 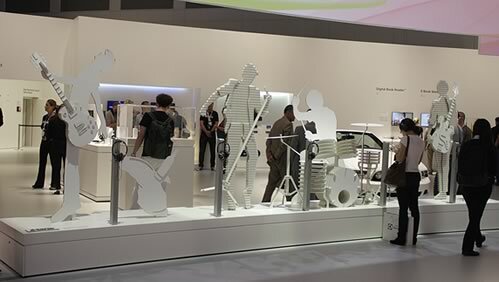 It is held in the Javits Center in New York as a part of New York Design Week in May every year and excellent design products will be gathered from all over the world to here. 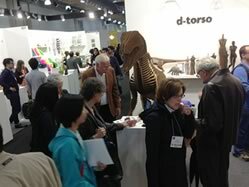 We exhibited our d-torso products in the booth of Japan Pavilion which is organized by JETRO(JETRO / Japan External Trade Organization), and greet the visitors from all over the world. 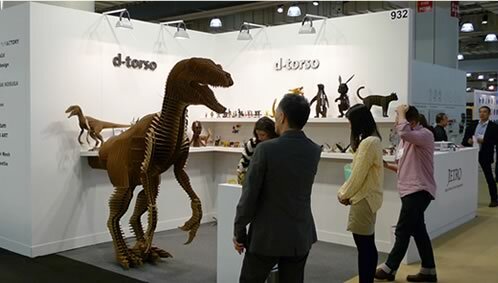 In 2013, we showed the “dinosaur series”which was made for the first time that year. 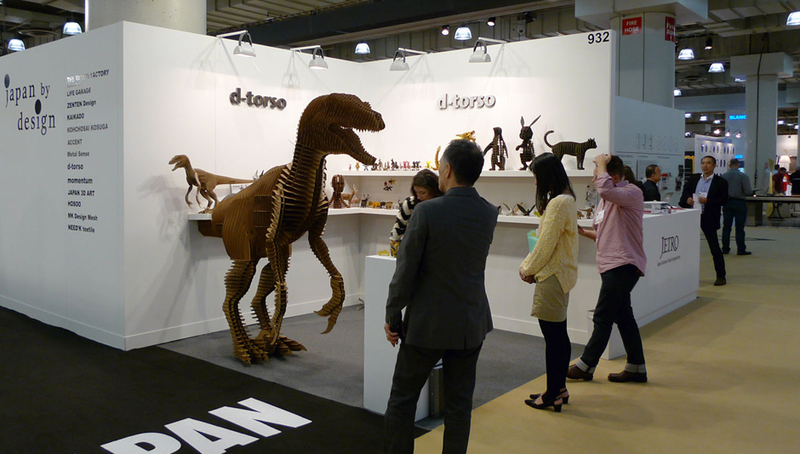 The life-size Velociraptor was so popular that people who take pictures with this dinosaur was not cut off the back. 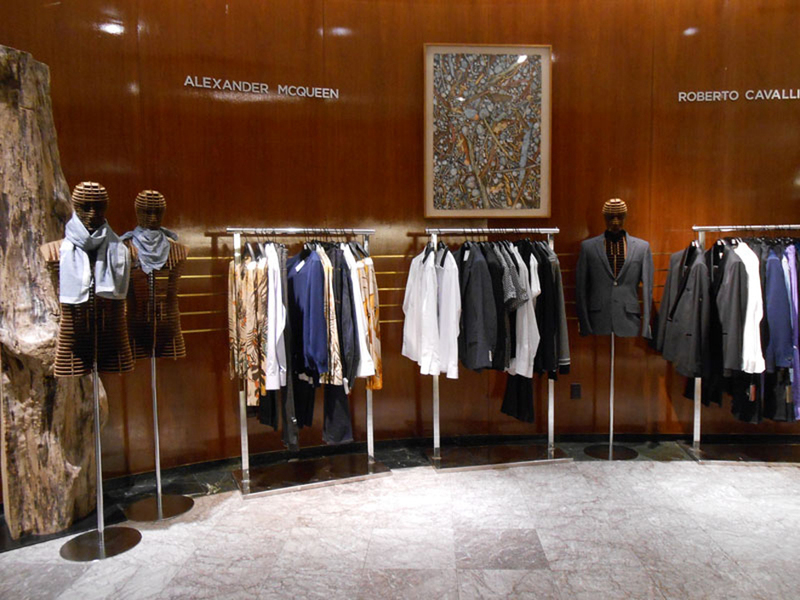 In the exhibition in the past, there was a lot of important encounter that leads to work with Saks Fifth Avenue and Google below. 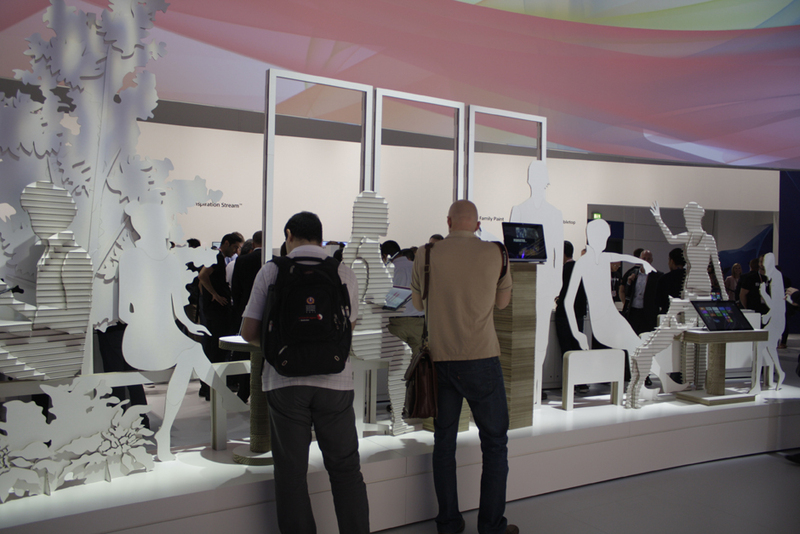 We met google in our first ICFF in 2011. After one year’s discussion, we delivered our products to the Google headquarters in Mountain View, California in the spring of 2012 through the agency. 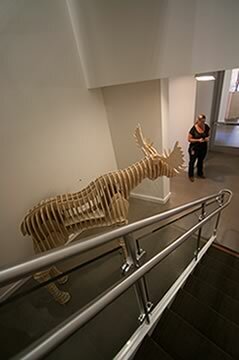 It was a 2.5M length elk and a 3M height bear, which was rare for d-torso since they are made by wood. We designed them in Kunisaki, prototype miniature, and made the final confirmation by making a 1/2 size cardboard model. Based on the design data, the final production is processed in a wood workshop in New York. 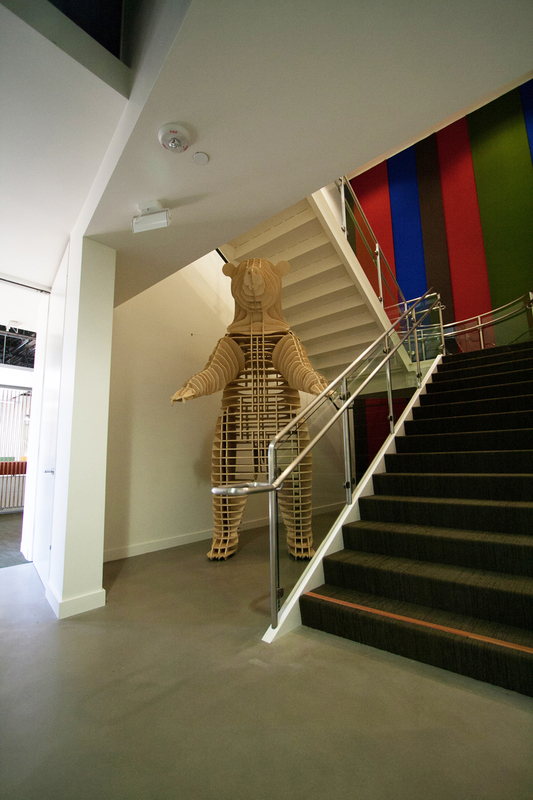 Then they were send to Mountain View, assembled on the spot, and was setted at the entrance of Google headquarters now. 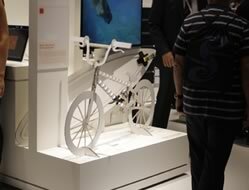 This project realized because of the exhibition of ICFF in 2012. 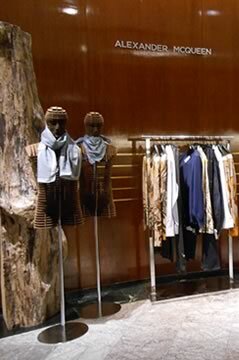 D-torso was displayed on every floor of Saks Fifth Avenue which is a luxury department store in New York. 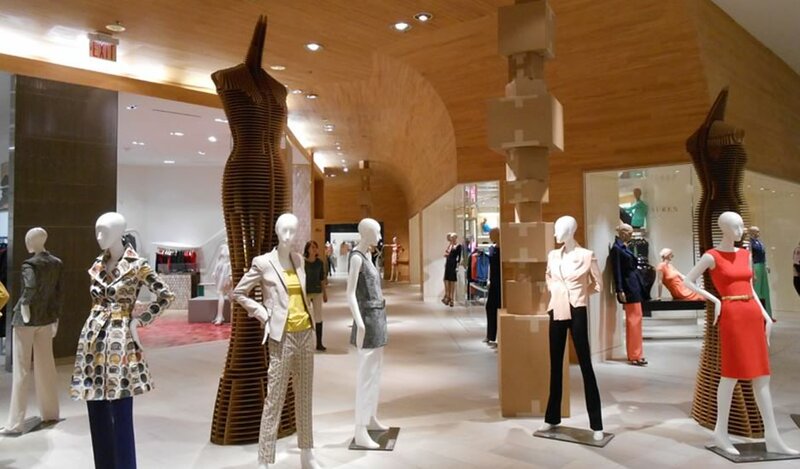 The best part is a huge torso over 3 meters which was exhibited in woman's clothing floor. This was a special exhibition during New York collection. 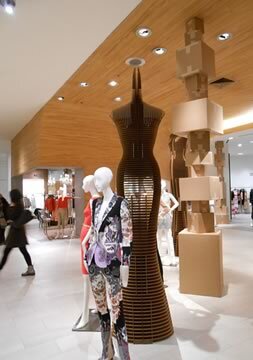 We heard it was also introduced by the local newspaper and many people went to the department store to see it. 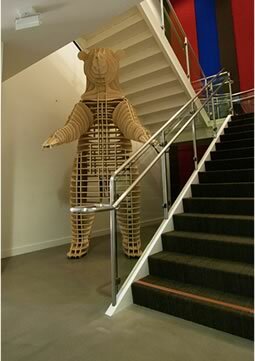 D-torso also produced other floors by life-size EVE tower, man’s body, dragon and so on. 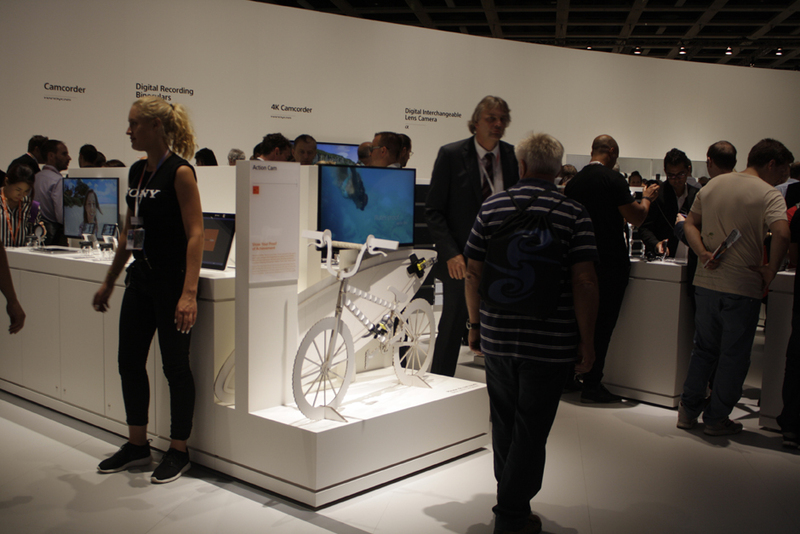 IFA is the world’s largest Consumer Electronics Show which is held in Berlin every year. 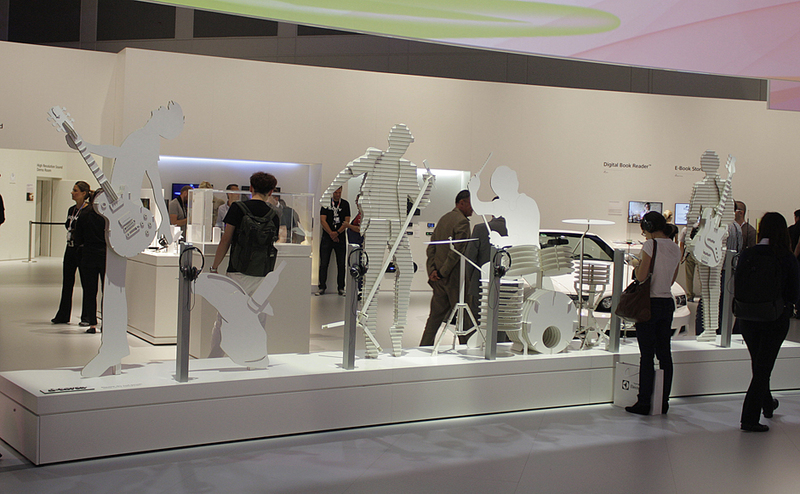 We had a display in SONY’s booth in the exhibition of 2013. We designed 60 points or more products, processing the parts in the factory of Kunisaki and assembled them by dispatching the employees to the actual place. A platform called “sound” was popular and we made miniature kit to sell after, based on the guitar model displayed there. It was a very meaningful work for not only d-torso but also employees of Aki Co.,Ltd.. We really earned a lot. We want to thank for everyone who helped us in the show.